Wood or Vinyl Fencing – Which is the Best Choice – When it comes time to replace your fencing, the question arises whether to install some wooden fencing or to opt for modern vinyl fencing? Thinking about a vinyl vs wood fence, it’s fair to say that wooden fencing used to be the automatic choice when steel or brass materials proved overly costly. However, with improvements to materials and production methods, vinyl fencing now has a lot more going for it than in years past. Wooden fencing is the traditional choice. If you just must have real timber with definable wood grain patterns on it, you’re locked into that choice and the realities that come along with it. Beyond the pleasing appearance, wood has to be treated with a protective coating to avoid it getting damaged by the weather. It can suffer from insects eating away at it or general rot as the wood gets excessively wet and cannot dry out quickly enough. As wooden fencing can degrade significantly over time, it can impact negatively on the curb appeal of your property. Without proper and regular maintenance, you may need to replace the whole lot eventually. And if you don’t, it can leave a negative impact with potential buyers if you plan on selling the property further down the line. Vinyl fencing is a newer choice. It comes in non-textured plain colors, and you can choose either brighter or darker tones depending on what fits well with the look of your home. There’s also a wood-like appearance through Timberland color choices that resembles wood from a distance without the negatives. Another direction to go is BuffTech which is a fencing color that adds real texture, so it feels more like wood as well. Maintenance is easier with vinyl than wood. The vinyl fence only needs a spray down with water and perhaps a soapy wash every half-year or so. There’s no patching up holes or re-applying paint or a protective coating to the wood. Most homeowners are also unaware that vinyl is a lot stronger than wood. It provides both strength and flexibility which means it is less likely to need replacing over time. Which Fencing Option is Best? Unless you’re sold on wood as a fencing material, then vinyl is going to be an affordable option. It provides far greater flexibility with color and material selection with a wood-like appearance but without the drawbacks. A good vinyl fencing that is made with thicker PVC can last a couple of decades too. This is longer than most wooden fences will manage. 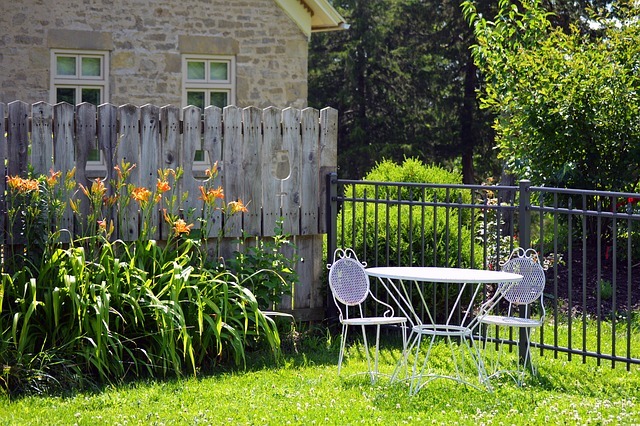 When it comes to replacing your fencing, vinyl is usually a far better material of choice. It’s not expensive because it’s made from PVC and is easier to manufacture, meaning the homeowner saves money as a result.